Farmers, ranchers, and agricultural professionals are constantly in search of the most cost efficient outdoor shelter and storage solution for their valuable equipment, hay, and livestock. 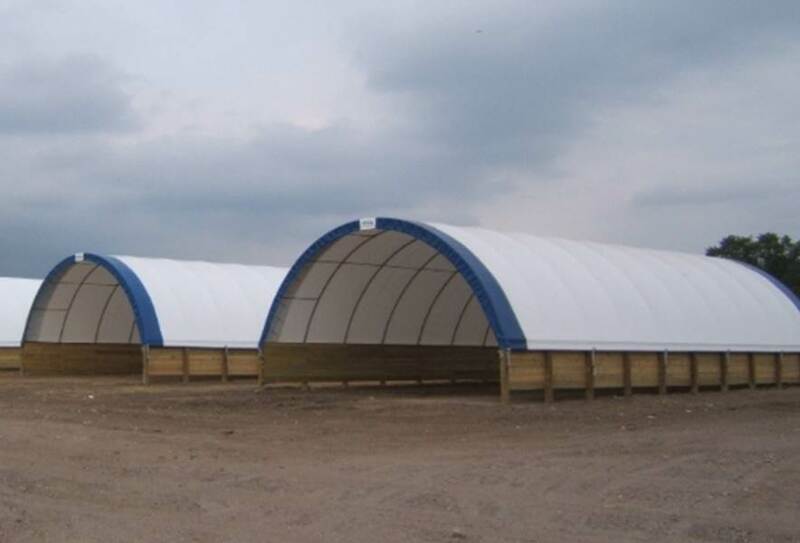 Farm hoop buildings and barns have long provided this solution for farmers and business owners. Hoop building offer a number of significant advantages over the conventional wood framed units due to their flexibility and ease of construction. Although most farmers are not concerned with obtaining building permits due to their rural setting, business owners located with corporation limits typically require a permit. The temporary nature of these structures typically does not require a building permit. Farmers also choose hoop barns due to their capability of mounting on concrete blocks. Due to this capability, farmers can utilize hoop buildings for manure storage and livestock shelters. Farm hoop barns have optional end panels and doors for a completely enclosed storage design. Contact us today for a custom quote on a farm hoop building to satisfy your needs.